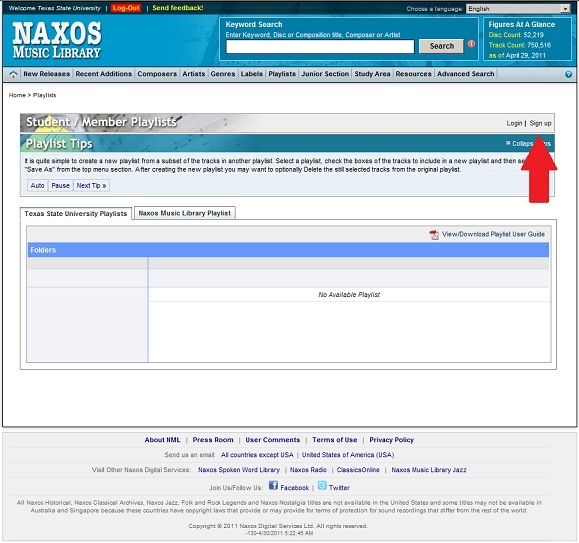 Connect to the Naxos Music Library Website from a desktop or laptop computer (not through the app) from on campus or through the proxy server. 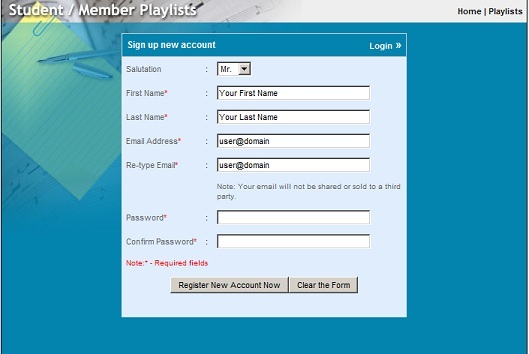 1) Create a Student/Member playlist account. 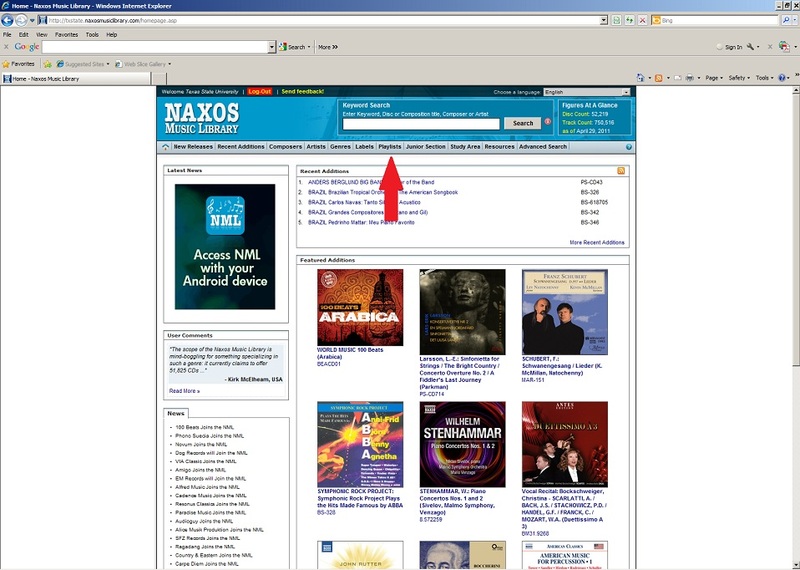 Select the menu bar item “Playlists” under the Naxos logo. Create an account using your TXSTATE email address. It will email a verification URL to your email address. Activate account through email. 2) Download the iphone or Android app (search on keyword “naxos”) on your phone. 3) Start app and use your email address and password you created to login.